To create this list we’ve filtered our database to show the most stolen luxury and prestige models. In all likelihood these models are ‘stolen to order’ – which means thieves look around for these specific models and steal them for an unscrupulous customer. More often than not they’ll be shipped abroad to a former Soviet or African country, where it’s incredibly tricky to trace them back to their original UK owner. It’s bad news for BMWs, which take every place from one to five. This is likely down to a security flaw which allowed thieves to create a duplicate key and easily make off with the car. BMW promises that it has since rectified the problem, which applied to cars built from 2007 until late 2011. Owners who are worried about their cars can contact their local BMW dealer for a free fix if it hasn’t been applied already. 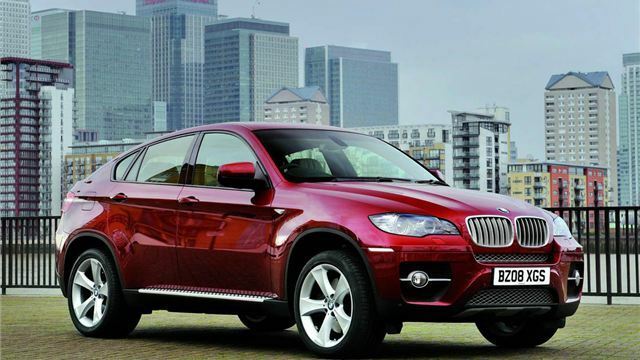 The X6 is a curious combination of coupe and SUV – and that apparently appeals to car criminals. As with all cars in the top five, this BMW model was one vulnerable to car thieves who could create a duplicate spare key and simply drive away in the car. The problem doesn’t affect BMWs produced after September 2011 and after the extent of the problem was brought to public attention in 2012 BMW issued a free fix to owners of affected cars.